TheChai.com averages between 50-100 unique hits a day. 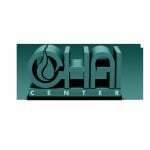 This is a perfect chance to be noticed and support your favorite Chai Center. You can email your banner and text to ybernath@gmail.com.